Sports - The Fan's Take: The (Baseball) Book Needs to Go! The (Baseball) Book Needs to Go! One of the questions that many new baseball fans ask and what causes frustration to many passionate baseball fans in todays game is: Why is there a parade of relief pitchers in the late innings of a game. It’s not a question about stamina, most relief pitchers only throw to one or two batters. It’s because the manager is going by the book. What book? Well, the rule is if you have a left-handed batter you would want a left-handed pitcher on the mound because it’s harder for a left-handed hitter to hit against a left-handed pitcher, and visa versa. The main reason is the breaking ball. If a left-handed pitcher throws a breaking ball (Slider, Curveball) the pitch will break down and away from a left-handed hitter, and the same effect would apply from a right-handed pitcher throwing to a right- handed batter. The batter will usually swing at this pitch, if thrown properly, because the pitch will appear to be in the strike zone but will break out of the zone at the last moment. Personally, I am past the book and writing a new book and it will be an easy read. If a left-handed pitcher can't get a right-handed batter out, then its time to replace the pitcher permanently. I understand there are other variables such as (1) past history between the hitter and pitcher, (2) Outcome of previous hitters (hits, walks). These variables are universal for any type of pitcher, reliever or starting and should not be only tied to only relievers. Many times I see a manager put in a left-handed pitcher to face a left-hand batter then the next batter is right-handed so the manager pulls the pitcher. Why am I against this, especially in close games. Most close games are not determined because of this move. However, most losses in extra inning games are because of this move. Think about this scenario: Game is tied 2-2 and it's in the 8th inning, the manager pulls the starter and brings in a relief pitcher. The relief pitcher strikes out the batter then the manager pulls the relief pitcher and brings in another relief pitcher (solely because the books says) to face a left-handed batter. The team gets out of the 8th inning without being scored on. The 9th inning comes and usually the manager will bring in another relief pitcher to handle the 9th maybe two if the books says too. The game is still tied. The team gets out of the 9th inning without being scored on. So through two innings the team goes through three to four pitchers and maybe those three to four pitchers will see a total of six batters. Fast forward to the 13th inning, you will start hearing the announcers comments such as, well the manager has one more relief pitcher in the bullpen, after that they may need to bring in a starter. When that statement is made every fan starts to think why did you use so many relievers in the 8th and 9th inning. Simple answer: THE BOOK SAYS SO. 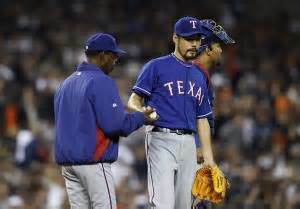 Again, if a relief pitcher can't get a right and/or a left handed batter out then there is a problem. Still a believer of the book? Here are two current relief pitchers stats for this year. 1. Joaquin Beniot (Detroit Tigers) has a 3.75 ERA against right-handed hitters and a .87 ERA against left-handed hitters. 2. 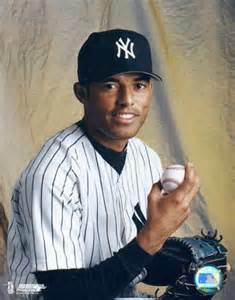 Mariano Rivera (New York Yankees), arguably the best closer in the history of baseball, has a 3.38 ERA against right-handed batter and a 1.00 ERA against left-handed batter. Both pitchers are right handed pitchers so they should have a better earn run average (ERA) against right-handed hitters, but as you can see they do better against left-handed hitters. I guess they have not read the book. There are many other stats similar to the stats listed above, but I think two helps me prove my point. I am not blaming the players for this issue, this issue lays with the manager. If the manager does not have faith in their pitcher to get an opposite hitting batter out then the pitcher should not be brought into a critical part of the game. In closing, if the book is correct, then why can a starting pitcher produce outs from left and right handed hitters for 6-8 innings?